Featuring Triple Sense Technology™ the system provides proven accuracy, analyzing the testing environment for hematocrit and temperature, which could impact or influence the accuracy of results. Glucose dehydrogenase-Flavin adenine dinucleotide (GDH-FAD) (Aspergillus sp. ), mediators, buffers and stabilizers. 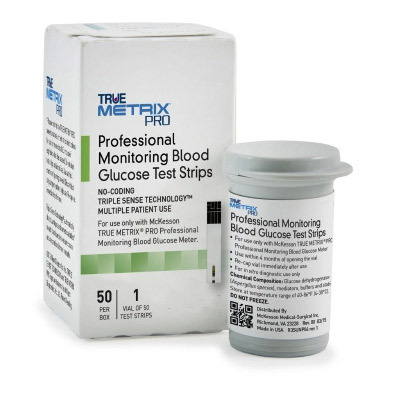 An electrode pair on the test strip detects hematocrit. An internal unit in the meter detects temperature. System triggers proper fill detection eliminating errors due to improper sample size. Detects control solution and automatically identifies results in memory for accurate data trending.